1612 – The story of craft beer is the story of America’s love affair with suds. The art of brewing came to this country before long before we won our independence, with the first known brewery established in New Amsterdam – now New York City. Only 45 independent breweries and 89 total breweries remained, when Congress legalized homebrewing – in other words, they deregulated the industry which created opportunities. 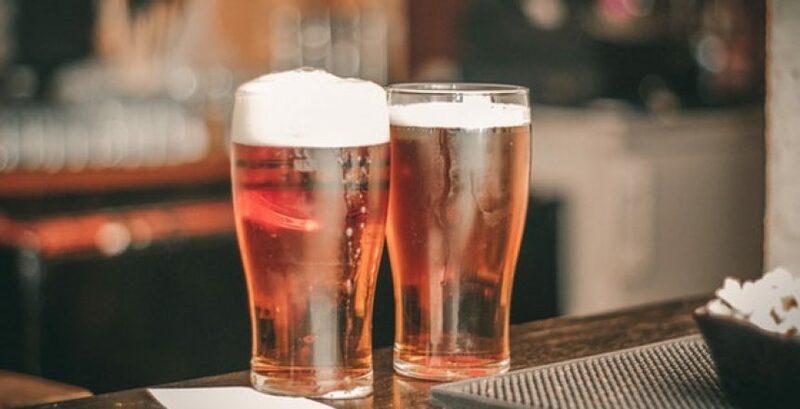 Ceasing on this, a small group of homebrewers started brewing beer themselves, reviving styles and flavors that, while were available in Europe, were no longer widely available in the U.S. The craft beer revolution was led by Sam Adams and Sierra Nevada. 2008 – It’s a Craft Beer Revolution. Between 2008 and 2018, the number of breweries grew and we now have more than 6,500 active craft breweries. You read that right. A 300-year old industry has more than sextupled its establishments and more than doubled its workforce in less than one decade. They’re everywhere – even in Utah. Even more interesting, this has happened in a time when U.S. beer consumption has been declining. In 2017, for example, overall U.S. beer consumption was down 1% while craft brewer sales increased by 5%. Overall, the craft beer industry saw sales of $26 billion, or 23.4% of the beer market that year. Isn’t it nice to see a bunch of small, locally-owned businesses beating up on the Goliaths? Let’s face it, the craft beer movement was driven by consumer demand. With a fuller flavor and a greater variety of flavors, these brewers are earning the support of their local communities. And local people supporting local businesses isn’t a bad idea. Craft breweries have focused on tastes and flavors that have been underrepresented by the big beer companies. India Pale Ales (IPAs) are a good example of this. Compare the flavors. Beer tastes like…beer. Craft beer, however, can taste like chocolate, coffee, oak, caramel, molasses, grass, floral hops, dark fruit, smoke, grapefruit, oranges, lemon, and even pumpkin (is anybody else getting tired of the use of pumpkin flavoring?). Craft beer is lovingly created and served and can be anything from a golden straw color to orange to a ruby brown or an inky black. Or anything in between. What Makes Craft Beer Better? Craft beer is all about flavor. Craft beer brewers do not use cheap ingredients! Craft brewers hand select their ingredients, picking each for specific flavor characteristic in mind that will create a flavorful beer. Yes, it is more expensive. Better ingredients and more care in the brewing process do that, but it is these elements that give you extra flavor and a tastier beer, which means you’re getting a better value. The Bruery Mocha Wednesday, Burial Griddle, Three Floyds Zombie Dust, and from Utah, Polygamy Porter. And their label designs exceed the creativity of the names. Just imagine if your favorite store had a mobile app that would allow you to browse their inventory of craft beers and place your order. And what if they also sent you announcements of new craft beer arrivals. They could do this if they had Bottlecapps. If your store isn’t using Bottlecapps, tell them they should. If your store has it, you should download and use it.